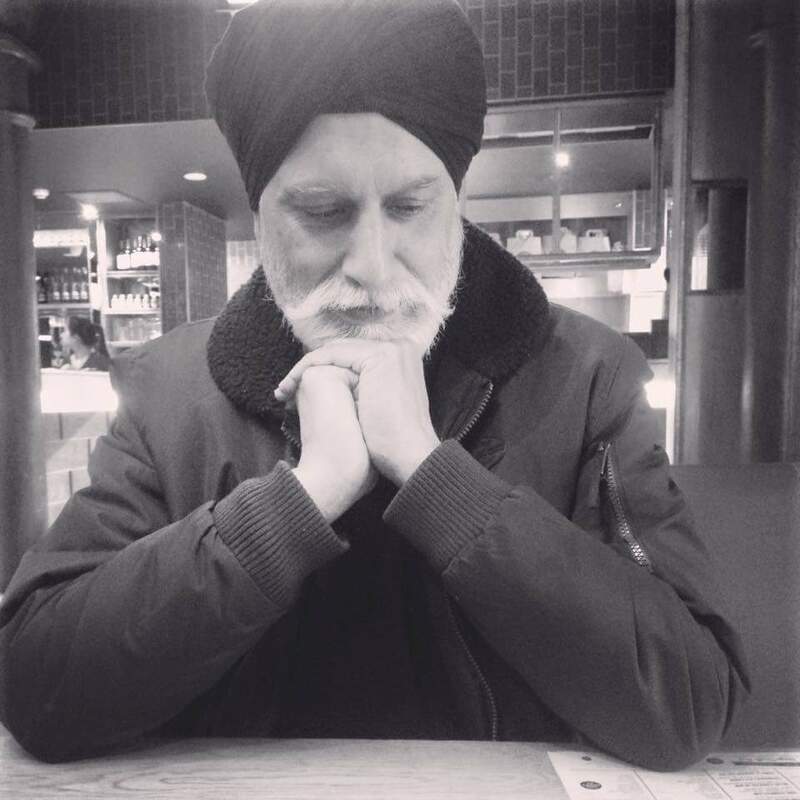 My name is Balbir Singh Sangha, I am 64 years of age and live in East London. I have four beautiful children, all of whom are now married, and five lovely grandchildren. I have been living in the UK since the early 1960s. A. I am a property manager and developer. Q. 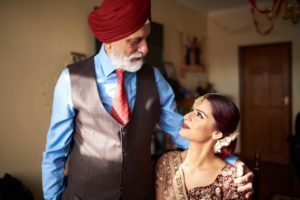 What was it like coming over here from India, Punjab? A. I was very young when we first came to the UK, only five years old. I remember it being very cold. A. I have four children. They are 39, 38, 27 and 26. Jaswant, my eldest son, is very sincere, honest, caring and homely. He is a chartered account and financial wiz. He is a son that every single parent would be proud of. He now has three beautiful children of his own and is growing into a wonderful father. My second eldest, Sukhdeep, is very precious. I am very proud of her achievements, not only in her academic field but also in her family role in bringing up two wonderful children. Sukhdeep is a Human Resources Manager for the NHS. Ten years later, God gifted me with another child. Randeep enjoyed the influence of his two older siblings and grew up to be a very bright young man. Randeep is now a qualified doctor. God’s blessing gave us a fourth child, who turned out to be the most wonderful, confident child that any parent could wish for. 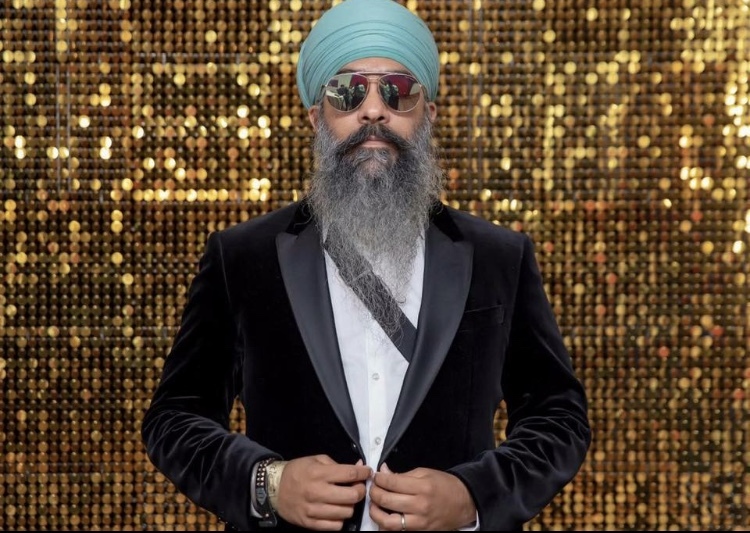 Jaspreet is now on a mission as a teacher and poet, with Gods will, to change people’s awareness of each other and to respect and love each other regardless of their religious faiths and/or other beliefs. Q. You stated in one of your posts about the knowledge your Dad imparted on you through books and you encyclopaedias at tea time, please tell us more? 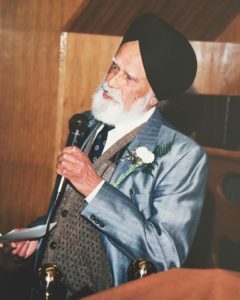 A. JASPREET: Since a young age, my Dad has always encouraged me to read. There would always be tonnes of books lying around the house, history books, encyclopaedias, you name it! We used to pay a visit to the mobile-library every week and I would always bring back a load of new books to read. Dad taught us that that the knowledge that you build in your mind is the one thing that no one can ever take away from you. This is probably one of the main reasons I became a teacher and love literature and history so much. A. My biggest inspiration in life has been my late father, Ajit Singh Sangha. A. The best piece of advice I have ever been given is ‘to think before you speak’. Once you have spoken something, you cannot take those words back. A. ‘To live within your means.’ However, this does not solely mean in a financial sense of not overspending but also to treat everybody regardless of who they are, on the same level and maintain that relationship to the best of your ability. A. Once we started having children, we both naturally found what roles suited us best in raising the children and what parenting style felt most natural to us. My partner took on the very important roles of welfare and domestic concerns of making sure the children were always fed, clothed, making it to school on time etc., and I took on the parenting actions of education, transport and discipline. Our personalities influenced which parenting styles and roles suited us the best. A. Have faith in the Guru Granth Sahib. If you consider yourself a Sikh, believe and begin to understand the instructions given to us from our Gurus. That will help you and guide you in becoming the best father you can be. A. To be tolerant. The generational difference will always be there so you have to be willing to adapt to the different age groups in your life. You will have to adjust as you go along. Sometimes you will have to go with whichever way the wind blows; otherwise, the roots will begin to uproot. Going along with the ‘tree’ analogy, every parent’s role is to make sure the roots of this ‘tree’ are provided with the right nutrients (values) in the hope that they grow into good people. A. You have to look at yourself before you do anything else. Children will follow by example. Surround your children with a supportive environment, good role models and we need to set examples ourselves as parents and grandparents. Infuse values of Sikhism in our homes so that they can identify themselves as Sikh (wearing and following the right practices). Children need to be fully aware of the teachings of the Gurus and to believe that the Guru Granth Sahib can be your true guidance. Understanding the history of Sikhi and the Gurus to help build that connection. A. 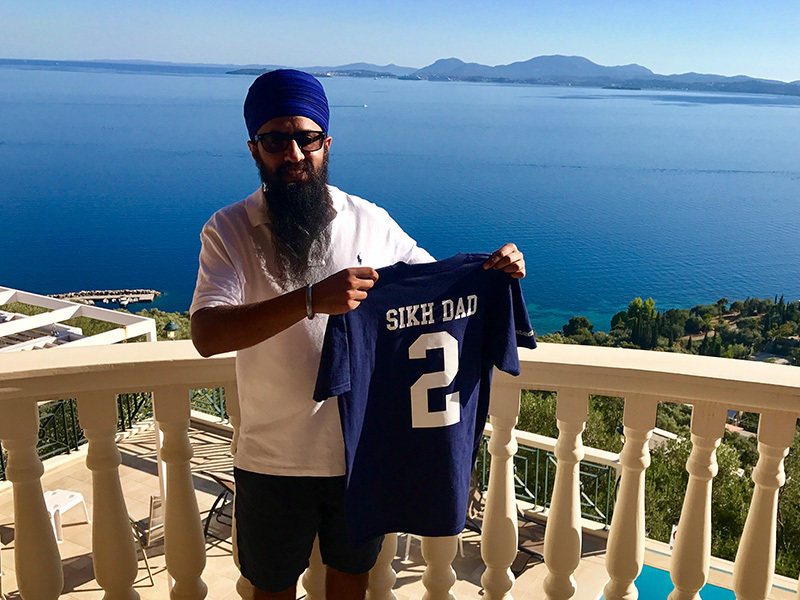 A Sikh Dad whats app group or network/forum to help share experiences. A. With my beautiful grandkids. I have five grandchildren, all of whom have their own very individual personalities, so spending quality time with each of them is very important to me. A. I took the kids on a European road trip. We had a wonderful time touring Europe but on our way back, my youngest baby, Jaspreet, hid her brother Randeep’s passport. PANIC SET IN. We were very close to going to the embassy; however, the passport reappeared. It was taken out of my wife’s handbag and was found neatly tucked under a car seat. Panic averted! A. Having grandchildren. There is something very special in seeing your own children raising their own babies. 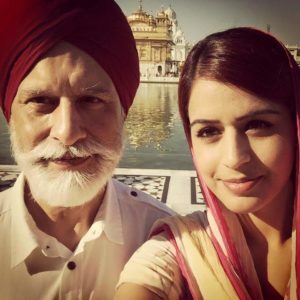 I have not met Jaspreet and her father Balbir Singh as yet; this interview actually came about from me reading one of her posts on IG. I was amazed at how she was describing her father and with so much love that I just had to ask them to be involved. I was thinking that if my kids ever spoke and felt for me in the same way, then I would be a happy man! 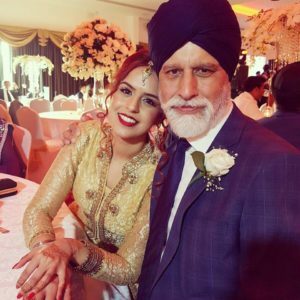 As you have read Balbir Singh is not only a father but also a grandfather, the first I have interviewed on Sikh Dad, he has shared with us his wealth of experience and his gratitude for what he has been blessed with, this is something we can all learn from. I hope in the future I will get to meet them both but until then I thank them both for taking their time out to contribute to Sikh Dad.